In what may or may [hopefully] not prove a short term deal between budget high street chain Poundland and Walkers, a small run of Original flavours have been re-introduced. The packaging is virtually identical (transparent window apart) to the bags many remember from the 1960s. A broad colour coded bag with the famous logo of three blue and three red stripes. It has no good design features, but put it alongside all those on the shelves that have, and it will undoubtedly stand out. 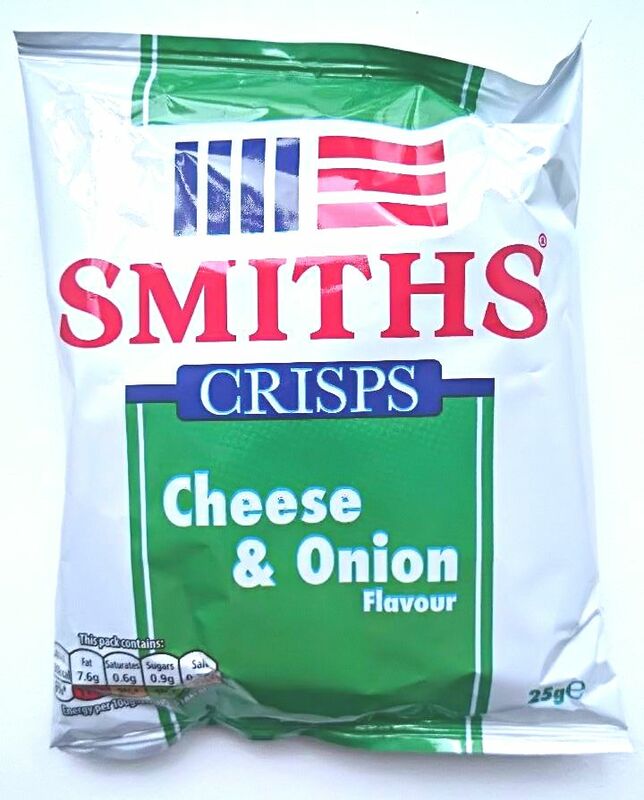 Another classic aspect of these Crisps was undoubtedly the speedy crash and Crunch to mush of these Regular Crisps. Thin and crispy with a golden orange hue, these Crisps featured oil blisters galore and a certain amount of skin on edges. A classic look for a classic Crisp. Concern grew when a Nose Plunge Test revealed nothing at all. Fortunately our fears were allayed. There was a perfect balance between Cheese and Onion. Maybe it was the nostalgia talking, maybe it was the emergence of weird and wonderful flavours, but this particular Crisp was like a time machine, transporting us back to a time of saloon bars in pubs and a Coke out of a traditional bottle with a straw.